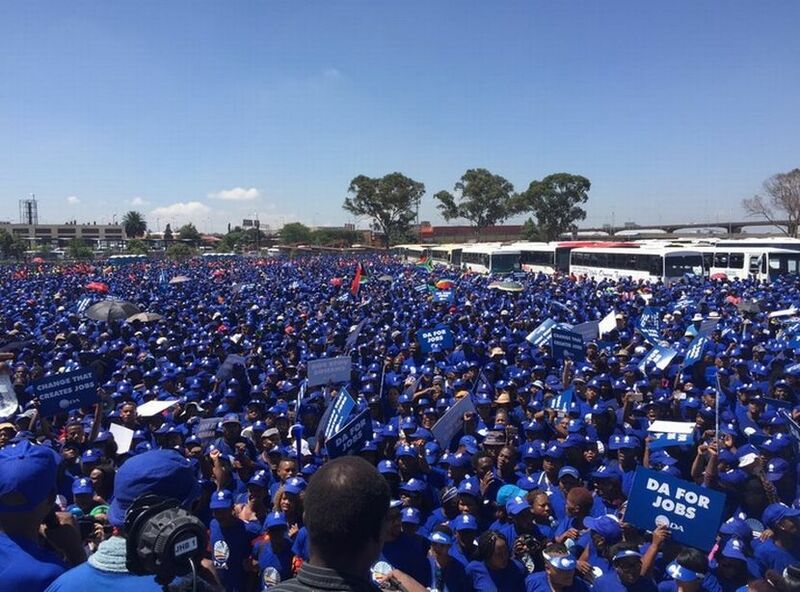 There was a hive of activity at the Westgate Transport Hub in Johannesburg on Wednesday morning, where about 5000 people gathered for the DA’s march for jobs. Most of the people were bused in from various parts of the country, while others came in private cars. More than 40 buses were parked in the open field near the station at about 11am. The flow of traffic was delayed on Anderson Street as more people and vehicles were moving into the venue. DA leader Mmusi Maimane was expected to lead the march to Sauer Street in the inner city, according to Gauteng DA media offcer Tiaan Kotze. 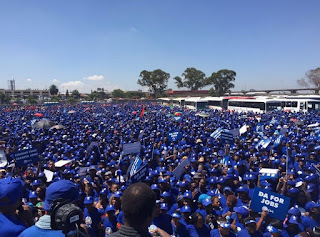 “We are expecting about 20 000 people to come and take part in this march,” he said.Among the DA leaders who were already at the venue at 10am was Gauteng party leader John Moodey and his Eastern Cape counterpart, Athol Trollip. Trollip said: “People will see today that the DA can create jobs because the government has failed to do so” said Trollip. Many young people were in high spirits and dancing to the sounds of music blaring from speakers on stage. Mmathapelo Maseko, from Thokoza on the East Rand, said she hoped the march would make the ANC-led government realise that unemployment was a serious problem in this country. “It’s difficult for me to get a job even though I have qualifications and experience in office administration,” she said. A female DA member was taken to hospital after she collapsed for unknown reasons during a march for jobs on Marshall Street.